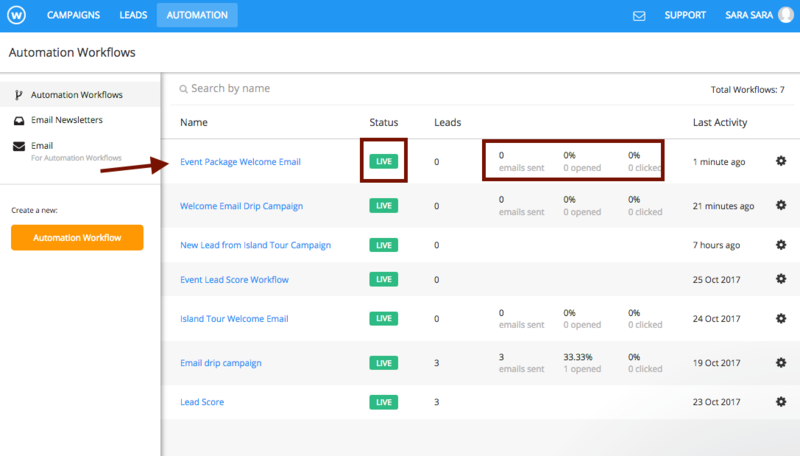 In this article I’ll show you how to send a follow-up email to a Lead after they converts on your landing page using an Automation Workflow. 3. 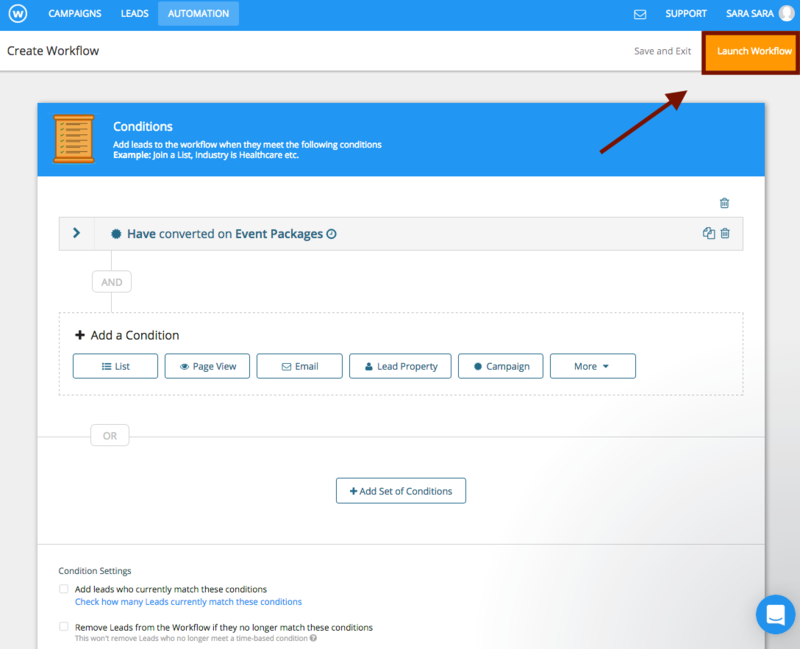 Within the Automation Workflow editor, you can specify a set of conditions which will trigger certain actions. 4. Since we are sending an email to every person that converts on our form, we will select “Campaign” for our condition. 5. The menu will expand and more settings will become available. Once we have set and saved our condition we can now scroll down to where we can set our actions. 8. Enter your Email Name, Subject Line, From Name, From Email Address and Reply Email Address. 9. 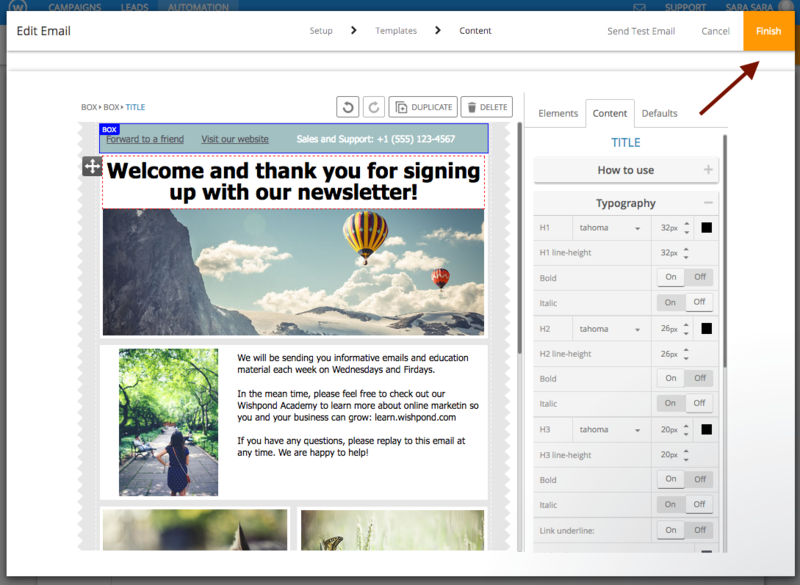 Now compose your email in the editor. Once you are happy with your email you can click on the orange “Finish” button in the upper right corner. 10. 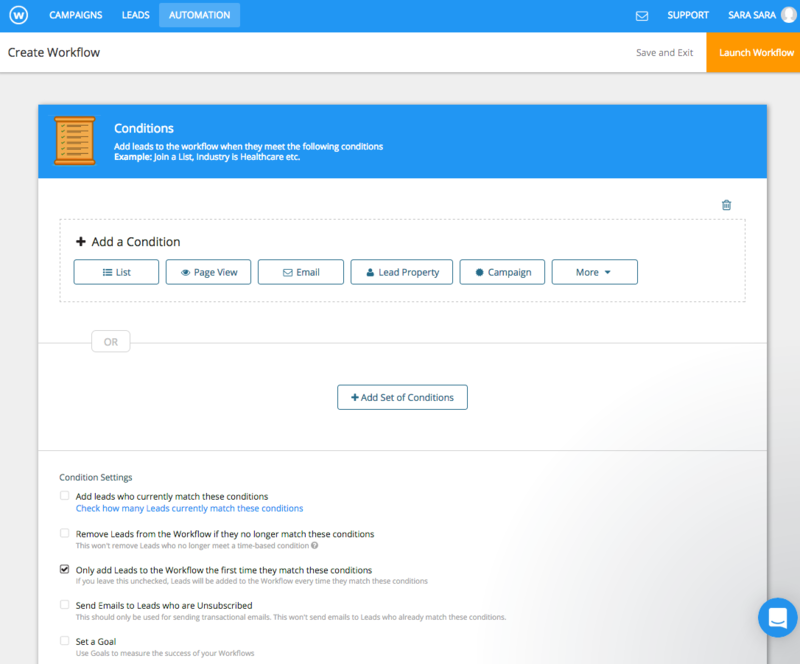 We have now setup our condition and action for this automated welcome email and can now launch the Automation Workflow. To launch the workflow please click on “Launch Workflow”. Back in our Marketing Automation dashboard we can view the real-time stats and performance of our Automation Workflow in Wishpond. You will be provided with stats on number of emails sent, opened and clicked and much more.